Dividend-paying stocks are the most popular investment products among Singaporeans to plan for retirement. After I published this article last week, many readers want to know what are the tools available to choose dividend stocks efficiently. Gone with the days when you have to fork out big bucks before you can jump onto the wagon of stock investing, there are many FREE tools available to investors like us. I will show you how, in less than 5 minutes, you can use a much neglected free tool to filter dividend stocks listed in Singapore Exchange (SGX). If you have a stockbroker account, you will always be bombarded with a lot of “research” tools. Unfortunately, most of these tools are designed to increase trading activities. If you believe buying stocks is to benefit from the company’s profit and growth and meant for long-term holding, you should be more interested in the fundamental data. Dividend accumulated over the years can be a huge asset to many. Can you believe someone’s unclaimed dividends held in SGX is $1.2 million? There are many ways of choosing a stock, but for most people, I believe a simple three-criteria process is a good start. Risk Analysis – To check if the company is over-leveraged and exposed financial risks. Luckily, SGX provides a simple and FREE tool for this. Here is what you need to do. 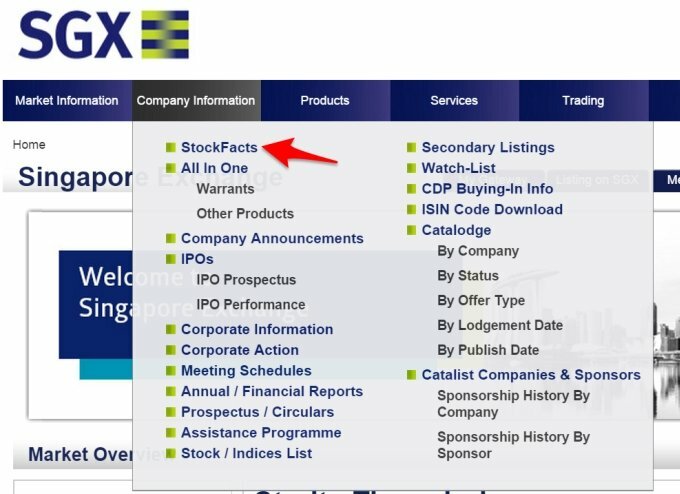 Go to www.sgx.com, select Company Information->StockFacts. 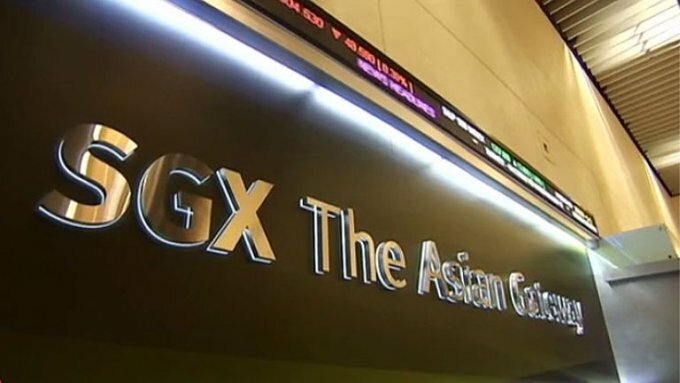 From here you can see, there are total 356 stocks listed in SGX. But to me, I am more concerned about profitability than revenue. And I am not particular about the company size as more often than not, you can find gems in under-researched and neglected small companies. So here are the criteria I set. You should adjust the figures to whatever you are comfortable. Even if it is a good company, I am not interested in overbought companies. If a company’s price to earning or to book is too high, I will filter them out. Being conservative, I prefer the company has more equity than debt, so Debt/Equity Ratio less than 100% is used. Finally, I will sort the result by Dividend Yield from high to low. As you can see from the result below, a majority of them are REITs or construction companies. No wonder Singapore REITs have been the darling of all the Income Funds. Among the top 10 stocks, there is just one outlier Asian Pay Television Trust (S7OU). This is interesting, and it is time for you to study deeper about this counter. As mentioned earlier, this method is just a starting point. The next step is for you to shortlist a few and put in more effort to research the stocks. First of all, you should note all the data are based on last day information so it varies day by day. In my previous article, I have highlighted that you cannot choose a stock just because its dividend yield is higher, and most of the good high yield stocks have been discovered and the prices may be overvalued. This means investing planning is far more crucial in the current market environment. As much as you don’t want your money to rot in the bank, you have to first decide your financial objectives, time horizon and risk tolerance before making any investment selections. Like this post? You can subscribe to my newsletter to learn how to save, invest and insure the smart way. Do you find this article useful? What are the other tools you use for stock selection? Share with us by commenting below. Firstly I would say this is one of the best content put out for public for knowledge and I’m new to investing and interested in learning more. 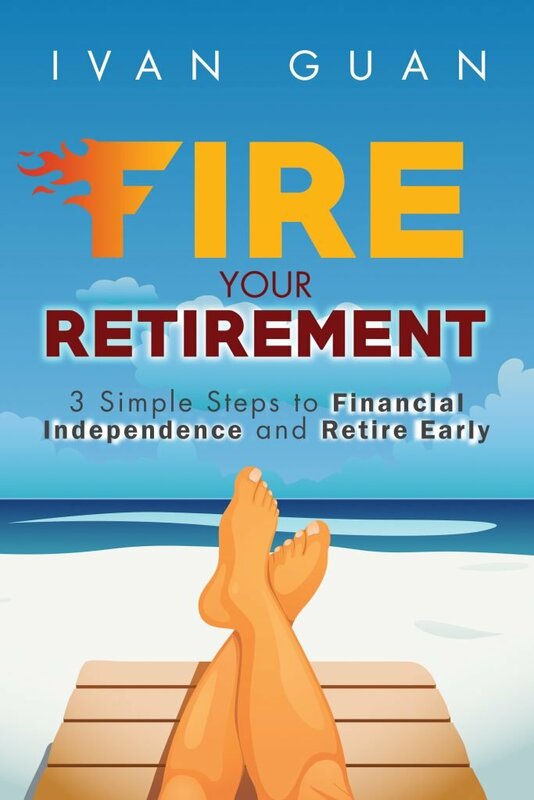 Actually I have a RSP(Regular saving plan) with Philip capital for about 6 months(100/Month) but I don’t see it as a potential gains for me in the long term because my goal is to able to retire early and provide for my elderly folks. Just to add on I just ended my NS. What will be the ideal minimum amount for me to get starting with dividend investment strategic? You can use 4% dividend yield as an estimate. If you want to have, say $300 dividend income, you will need an investment capital of $300×12/4% = $90,000. its for girls, but i think u guys same same lah. haha. so i googled and i found ivan too. great article. i don’t think it is easy to find high dividend stocks in singapore, at least now with your insight, i know how to start. stockfact is a simple tool, was never aware of it. thank god i found your article. sometime i am amazed at all these easy access stuff all around us but we didnt know…. great articles, pls write more! Thank you for your comment. Most of the useful tools are free nowadays, you don’t have to pay $$ to subscribe to the fancy tools for investing. You will be able to find the highest dividend paying stocks from Singapore on our site http://www.dividendsranking.com/country-Singapore.html. You can also access detailed information for each company to know about the sustainability of its dividend yields. We expect you like it and find it useful. Hi Ivan, thanks for a very clear and concise article not just the strategy to picking good yielding dividend stocks but the tool to go about it. Been exploring the possibility of using dividends payout to generate passive income. Am looking at stretching my capital further by rotating it across several good consistent dividend stocks within the year. For eg. $400,000 of SPH withdraw after dividend payout and buy into another stock such as StarHub using the same $400,000 capital to earn it’s dividend. Have to take into consideration the preservation of capital as after each dividend payout, there’s downward correction of the stock price factoring in the dividend amount. Your kind advice deeply appreciated. Thanks. Personally I don’t think this strategy will work as dividend payout is just a draw down of the company’s capital. The downward correction of the stock price will reflect the dividend paid. So if the market is efficient, there is no difference between your financial position before and after you take the dividend. What you could do is to stay invested in high dividend stocks as long as they can maintain or grow the dividend. You should only rotate when you can find a better opportunity. You can check your credit score from this link.